Technics Pressure Roller for RS ReelToReel for sale. 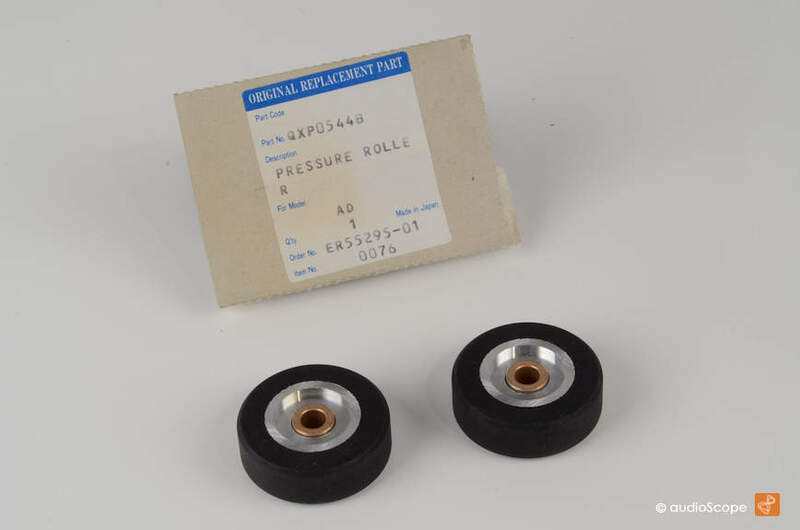 Technics Pressure Roller for RTR RS 1500, 1506, 1520, 1700, 1800, 777, NEW OLD STOCK. THIS IS NO CHEAP REPLICA. It is the original, unused. For perfect original wow and flutter performance. We deliver one pair, 2 pinch rollers. You will not find them again.